Vijender singh beniwal is an Indian professional boxer and is commonly known as vijender singh. He is at the moment champion of Asia Pacific Super Middleweight Champion. He hails from Bhiwani district in Haryana. His coach sri jagdish Singh identified the talent in him and encouraged him to go for boxing> His coach is Gurbaksh singh sandhu. 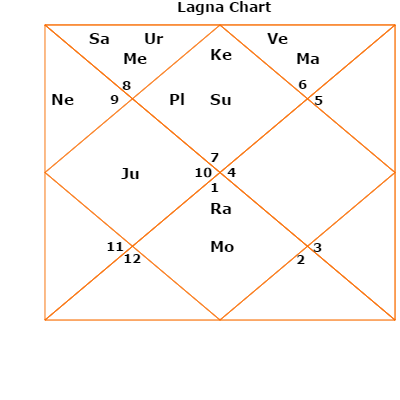 Vijender Singh- what makes him a good boxer and a winner- based on Vedic Astrology or Jyotish ? The ascendant is Venus which is in 12th house of his. Venus could be ascribed for his good and handsome looks. Planet sun is in his ascendant- giving him the due fame he desrves as sun in is in trikona house( 1st house). His Venus is in 12th along with mars- the planet for aggression, muscle and Boxing. This Gives his personality the much needed mars energy and the boxing boost! He can express the anger within through boxing. As the saying goes in Hindi that “Mangal Karaye Dangal”, that is mars creates fighst or wrestling situations- this is very apt for Vijender singh. Also mars rule his relationships house that is 7th house- giving him a deep connection with planet mars- that is Boxing. Rahu in his 7th house along with Moon, could give him the rashness or aggression he needs to win the boxing matches. Vijendar singh lord of wealth and status (dhana bhava) is also mars- suggesting he would gain success by Boxing or some aggressive sports or in police or army( I trust he was in police force earlier in Haryana police department). His career is ruled by moon, which gets energy from Rahu and also Mars as moon sits on the Aries sign of Mars. So his mind and his career would be in some aggressive sport like Boxing. Vijender Singh Defeats Australian Kerry Hope to Clinch WBO boxing Asia-Pacific Title- what is In store for Him in 2016- 2017? He has Saturn transiting his natal Saturn in 2nd house of wealth ad status. Saturn rules his 4th house that is his public image. Mars, the planet of Vijender singh( the planet for boxing) is also transiting with Saturn, giving him tremendous boost in performance and yes Gives him the victory as Saturn rules his public image. His Recent Victory Cause ? Apart from his talent,hardwork and passion – Also note he is born on 29th = 2+9 =11= 1+1=2 = Moon number. Now This is July 2016, July period is ruled by sun sign cancer, and cancer is ruled by Moon ! So the vibrations are very harmonious for Vijender singh to win in this month. 2016 August Onwards: Jupiter would transit into his 12th house- though weakened- but would still give energy to his mars and strength to his initiatives and will power( 3rd house). January 2017 onwards: His Saturn would get into his house of initiatives – this could careet exceptional results for him. He might have great victories and yes great failures as well. He has to control on his excess energy this time-with proper control of energy – he could turn the world upside down.